Israeli researchers propose that the degenerative brain disorder can result from separate causes that must be classified and treated separately. 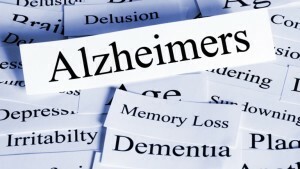 Health professionals should consider Alzheimer’s disease as a collection of disorders to be treated separately, according to an Israeli-American biomedical research team led by Prof. Ehud Cohen and postdoctoral fellow Tziona Ben-Gedalya at Hebrew University of Jerusalem’s Institute for Medical Research Israel-Canada. In a groundbreaking paper recently published in the EMBO Journal, the Israelis built on the understanding that several different neurodegenerative conditions – such as Alzheimer’s and Parkinson’s – stem from the abnormal folding and aggregation of certain brain proteins. The abnormality is often caused by an aging-related decline in the activity of proteins that normally assist other proteins to fold properly. But it also can occur because of an infectious misfolded protein (called a prion, as in mad cow disease) or a familial genetic mutation. Cohen’s lab studies the mechanisms that link the aging process to late-onset disorders associated with toxic protein aggregation in cells. This latest research showed that the development of Alzheimer’s disease in certain families, and of a familial prion disorder in other families, originate from similar mutational patterns and malfunction of a specific protein. He suggested that successful Alzheimer’s therapies have not been created because clinical studies have failed to distinguish between study patients with Alzheimer’s symptoms. “It is essential to carefully characterize and classify the mechanisms that underlie Alzheimer’s disease, in order to allow for the development of novel therapies that can be prescribed to the individual patient according to their relevant disease subtype,” said Cohen. The paper was co-authored by scientists from the Institute for Medical Research Israel-Canada, Hebrew University-Hadassah Institute for Dental Sciences, Tel Aviv University and the US National Institutes of Health.